WASHINGTON, Feb. 3 (Xinhua) -- The Pentagon announced Sunday that it is deploying 3,750 more active-duty troops to the U.S.-Mexico border for three months to support border agents. "Additional units are being deployed for 90 days, and we will continue to evaluate the force composition required to meet the mission to protect and secure the southern border," the statement said. U.S. President Trump has repeatedly floated the idea of declaring a national emergency if the deal doesn't include money for a border wall with Mexico, a plank of his 2016 presidential campaign. In a CBS interview aired on Sunday, Trump said he doesn't "take anything off the table." The move, carried out shortly before the November midterm elections, was embraced by Trump's allies and supporters, while critics slammed it as "a political stunt." 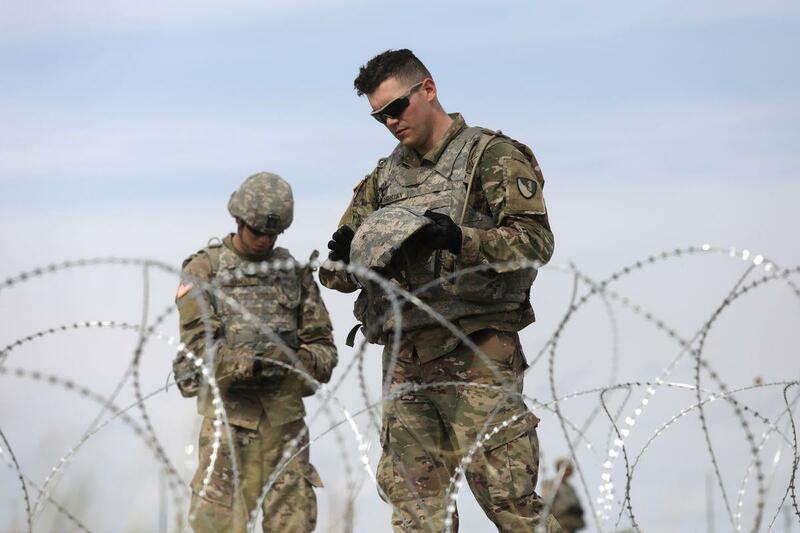 The Pentagon said it is "transitioning its support at the southwestern border from hardening ports of entry to mobile surveillance and detection, as well as concertina wire emplacement between ports of entry."